Introduction: Chester Biesen worked as a teacher for only a short time in this area. 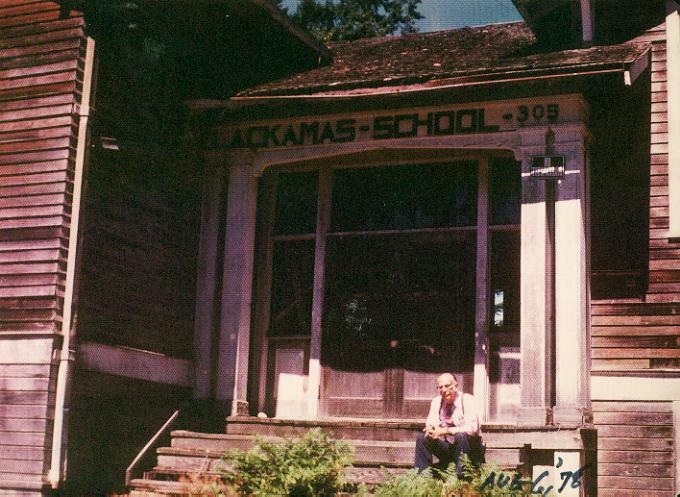 He worked at both the Lackamas and the Yelm Schools. This short interlude as an educator was only a small part of his long and varied career. Chester Biesen was born in Portland, Oregon, the son of Emma and Phil Biesen. 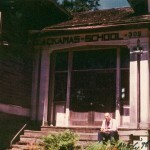 He grew up on a farm between Rainier and Yelm Washington, graduating from Rainier High School. A Tacoma newspaper published a cartoon in 1927 of some state legislators in Olympia. Among them was a smiling figure identified as “the kid of the house” – a young man with slicked-back hair, striped tie ad knickers. The “kid” was Chester Biesen. In the next 40 years he would become one of the capital’s most enduring figures – at first one of its youngest lawmakers, then the longtime lobbyist and executive director of the Association of Washington Cities. Despite his long tenure in the capital, Mr. Biesen also had a second career – in his 70s and 80s – at the Environmental Protection Agency, and he traveled repeatedly to India on Christian missionary work. Mr. Biesen was born Feb.18, 1904, in Portland. 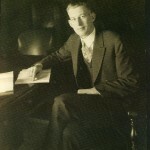 He earned a bachelor’s degree in 1925 from the University of Puget Sound, taught school briefly, then won election to the House from Thurston County. He served two terms, being first elected at age 22. After the end of his second term, he went to the association, which then was just a few years old. For three years he taught political science at the University of Washington. Then, as now, the association[AWC] is a clearinghouse for information about the state’s cities, a training source for local government officials and the lobbying force in Olympia for municipalities. 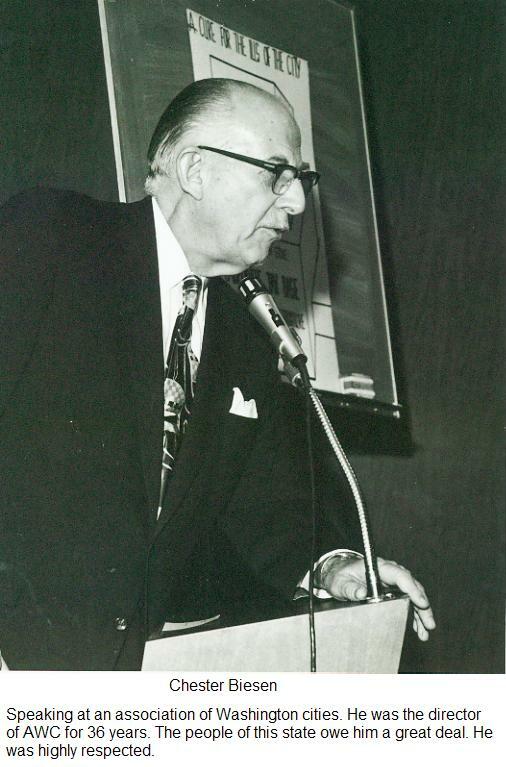 Mr. Biesen rose to the position of executive director in 1936 and held that job until 1972. As a lobbyist, Mr. Biesen liked to say, he had no big bills. Only little bills. When Mr. Biesen retired from the association, the Senate passed a resolution in his honor, and 17 senators spoke in support of the measure. 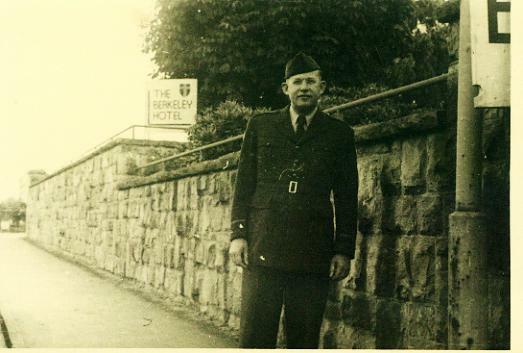 During World War II, Mr. Biesen served in the Coast Guard Reserve, and at the close of the war he worked for the United Nations. He was a relief and rehabilitation administrator in Germany. Mr. Biesen is survived by his wife, Vivianna Wubens Biesen, whom he married Nov. 22, 1951. He went to work in 1978 for the EPA as a member of the Senior Environmental Corps. He assisted the director of the noise control program in the Northwest region, and wrote a book on noise control called “Decibels Made Easy.” He retired in 1986. In his later years, Mr. Biesen became active in missionary work for his church, especially in India. With his own money, he helped build village churches and establish a Bible school in India. At University Presbyterian Church in Seattle, Mr. Biesen served as an elder and a deacon. He arose each morning and spent an house in prayer and in reading the Bible, his wife said. Vivianna Biesen, 71, said that when she married Mr. Biesen he seemed like “such a square” but she quickly changed her mind about that. “We made a quite a team,” she said, noting that they criss-crossed the globe, even smuggling Bible into the Soviet Union and China when they weren’t allowed. Part of the work of returning Europe’s thousands of displaced persons to their homes will be done by Chester Biesen, executive secretary of the Association of Washington Citites who is now on leave, it was revealed today in a letter received by John E. Carroll, Seattle City Councilman and Chairman of the Association of Washington Cities. 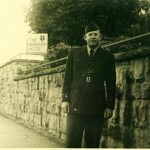 Upon completion of his two final weeks in the six weeks training period at the United Nations Relief and Rehabilitation Training Center at College Park, Maryland, Biesen is being assigned overseas under the direction of the Allied Control Commission as Assistant Director of an assembly center for displaced persons in Germany. For the past seven years Mr. Biesen has been executive secretary of the Association of Washington Cities, an organization representing 99% of the population in the state’s 223 incorporated cities. HE is on leave of absence, Councilman Carroll said, and the Association office staff is carrying on the work until an acting executive secretary for the Association can be appointed, according to Carroll. Before leaving Seattle last April, Biesen resigned from the U.S. Coast Guard Temporary Reserve where he was on patrol duty with Unit 4 for the past year. Biesen twice served as state legislator from Thurston County, and taught political science at the University of Washington, but previous to that time taught in the Yelm and Lackamas schools. His mother, Mrs. A. B. Smith, has lived in this vicinity for many years. 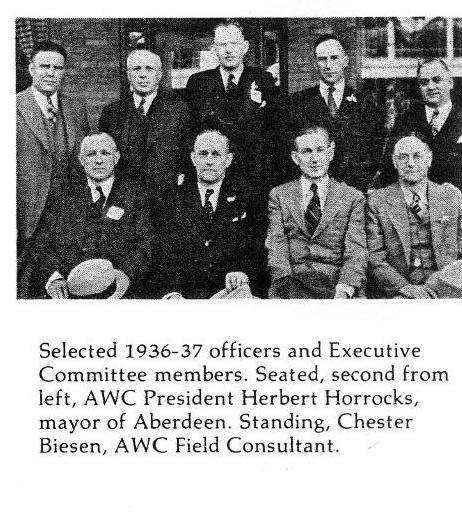 The AWC was begun in 1934 and was made up of council members, mayors and other public servants of many Washington cities. According to Hiram Gill, “It was for the purpose of discussing the needs of the cities that this convention was called.” In specific, the AWC provided many services for cities such as legal consulting; an inquiry service; ordinance file and referencing services, information bulletins, and a publication called Western City. They commonly dealt with issues such as city taxes, road projects, and water and sewer systems. As the organization grew it became more active, representing cities’ interests in court and working with great influence in the state legislature. In addition, the association created a strong camaraderie between city officials. The AWC was so popular and effective, that by 1939 it involved 96% of the cities in the state. By 1969, 99.9% of the state’s population was represented by the AWC. 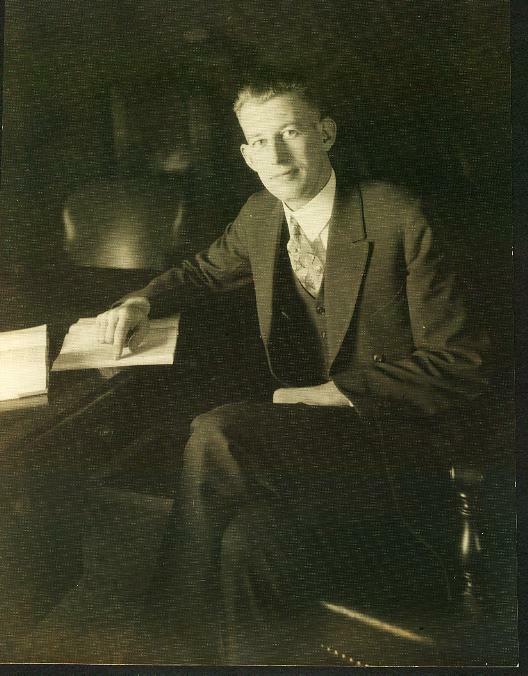 In 1936, Yelm resident Chester Biesen became the executive secretary. He remained in that position for 36 years, retiring in 1972. That same year they created the Washington Local Government Personnel Institute, which provided training and assistance in personnel and labor relations. The Association of Washington Cities announced yesterday that Chester Biesen, its executive director since 1936, is retiring. Biesen will leave active work with the organization July 1, but will continue to serve as a consultant to the group, said Renton Mayor Avery Garrett, association president. Chester Biesen, executive director of the Association of Washington Cities, is retiring after 36 years with the organization. He has some interesting notions to offer as to why cities are having troubles. America’s major cities are facing decay because they are being strangled by peripheral prosperity. Biesen’s view is that as people move from core areas of a city, the wealthy suburbs form a choking noose from which the neck of the core cannot escape. The affluent and the middle classes move to the suburbs, leaving the poor and the problems in the central city. The only way for the cities to save themselves is to expand their boundaries to retain or recapture those who move out – but they can’t. Suburbanites in smaller cities and unincorporated areas refuse annexation. Thus, Biesen says, the will of many people in the urban core – to expand – is thwarted by the will of the few who “ran out” on the city. The larger cities – Seattle, Spokane and Tacoma in this state – them must bear the expense of utility systems and civic projects that benefit the entire area. A tall man who has spent years lobbying the cities’ causes in the State Legislature, Biesen feels this strangling of the major cities is one of two major urban problems today. The other is lack of a proper financial base for Washington cities. The state has maintained a tight grip on cities and the levying of taxes for decades and it has kept the cities from adequately financing efforts to solve urban problems of crime, juvenile delinquency, traffic congestion and pollution. It took the cities, he says, 15 years of tough lobbying and work just to get the right to levy a half-cent local sales tax. “The cities had it in California 20 years ago, and they didn’t need to ask the legislature’s permission,” Biesen points out. When he joined the association in 1936, the cities were in bad financial shape, almost bankrupt, he recalls. The property tax was yielding $10 million a year to the state’s cities. They get about $75 million now. In that time they also have gained a share of the gasoline, liquor and automobile excise taxes and are in considerably better financial condition. 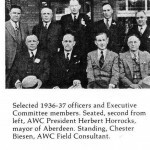 The association had sponsored or worked for almost 400 enactments in the legislature since the cities group was formed in 1933, a few years later before Biesen arrived. Included was the Municipal Code, which 60 to 70 cities have adopted, Biesen says. The code was aimed at dropping the differences in powers allowed to cities of different sizes. For instance, Biesen recalls a state Supreme Court decision that upheld the right of a third-class city to impound roaming animals, but forbade smaller fourth-class cities to do the same. The Municipal Code, he says, erases such things. 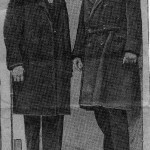 Chester Biesen was the Joe Friday of the Washington lobbying from the 1930s until his retiring from the Association of Washington Cities in 1972. 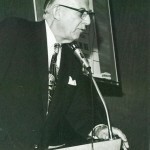 When he presented his case, it was “just the facts.” Dan Evans, who worked with Biesen in the 1950s and 1960s, as a legislator and as governor recalled Biesen’s technique. “Chet,” as Evans referred to him, “brought an intellectual” approach. He was not even a lobbyist, but more of an “information giver.” For Biesen this reflected the influence of the progressive era he grew up in during the early part of the century. Reminiscent of Robert LaFolette or Al Smith, Biesen built a “scientific” case to remedy a particular problem. The lessons of the past played well in the era of reapportionment, urban renewal, stronger county governments. Evans pointed out that the nature of the legislature helped Biesen’s progressive form of influence peddling. The legislature was an intimate place half a century ago. There was no staff to speak of. Legislators shared secretaries from a House pool. Evans, the former legislator, characterized his “office” as being his desk. There were hardly enough lawyers for each committee. Creating a bill was time consuming. A member of the House, like Evans, was desirous of information that could help understand the current law and help create additions to the RCW. Biesen could provide him with evidence for “their” case. Biesen controlled no blocs of voters and it was decades before PACS plied politicians with campaign contributions, but his influence was noticed. Never out in front of an issue, but armed with his research, Biesen moved towards his goal. Former Governor Biesen’s personality, according to Evans, helped “Chet” make his case. The AWC representative was “low key” and “personal.” He was never threatening. Simply put, Biesen was a nice guy. Biesen and Evans had a shared interest in asserting of the power of municipalities and their surrounding counties. It was the era of the landmark Supreme Court case of Baker v. Carr. Representation was shifting from rural areas to the state’s cities. Biesen and Evans worked to change the flow of tax revenues from the state to local areas. Unfunded mandates issued by the state were depleting local coffers. In a bipartisan effort the legislature designated a fraction of the gas tax for urban arterial work and not for state highways. NOW, THEREFORE, BE IT RESOLVED, That a copy of this resolution be transmitted by the Secretary of the Senate to Chester Biesen. In a special ceremony at the Capitol, he was presented this recognition to a standing ovation. Unusual because Democrats and Republicans acknowledged his outstanding contribution. I, Sid Snyder, Secretary of the Senate, do hereby certify this is a true and correct copy of the Senate Resolution No. 1973 Ex.-44 adopted by the Senate March 20, 1973. Thank You – A word of thanks to Vivianna Wubens Biesen for providing all of the pictures and documents in this section. Also to Dan Evans for sharing his memories of working with Chester.